Here are some examples of my web design work. Mulrooney Design are experts in developing premium websites and cutting edge design. Email and speak to us today! Or have a look at some of our work below. 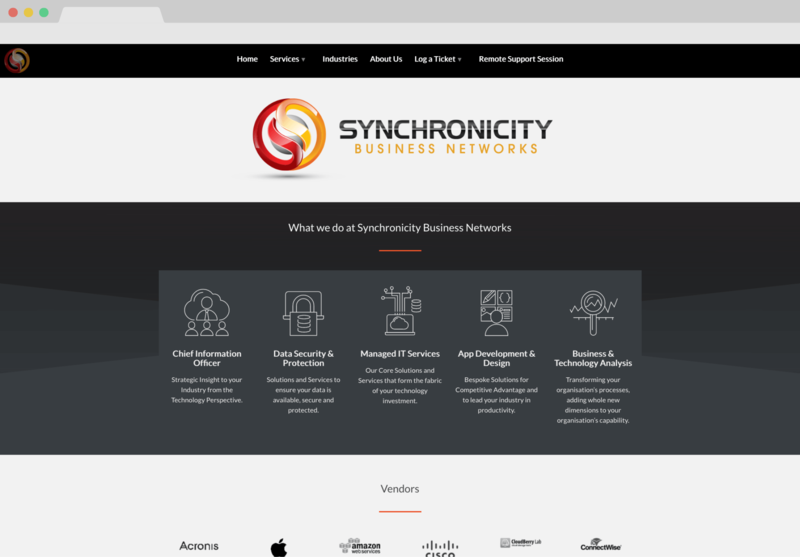 A custom website design and vector animations for Synchronicity Business Networks. Brand Design and custom coding for Crayon Creative. Branding, Logo and Website Design for Katia en Camerinos. Ecommerce. Blogs. Shops. Brochure Sites. Logos. Branding. Motion Design. You name it.